Looking for a hot water extraction carpet cleaner in Newton Centre? Certified Green Team provides superior hot water extraction carpet cleaning for clients in Middlesex County. Our process is effective for all carpet types, including: Berber, plush, shag, sculptured and textured, natural fiber, and synthetic. Call (617) 586-2586 today to schedule your Newton Centre carpet cleaning job. We've been professionally cleaning carpets in Newton Centre, Massachusetts for more than 10 years. Certified Green Team prefers to use hot water extraction to clean carpets. Most carpet manufacturers recommend the hot water extraction method over steam cleaning. Although these terms are often used interchangeably by consumers and other carpet cleaning companies, they are not exactly the same. The main difference is in the water temperature. Steam cleaning uses boiling water to create steam. Hot water extraction uses hot, not boiling, water on carpeted surfaces. Hot water extraction of Newton Centre carpets safely cleans carpets by dislodging dirt, and our high-powered extraction methods will lift the dirt and water from the fibers, leaving your rugs damp, not soaked, and beautifully clean. The Certified Green Team hot water extraction process gets your Newton Centre, area rugs and carpets impeccably clean. Guaranteed. We start with an inspection of your entire carpet, taking note of trouble spots. Then, the Certified Green Team carpet technician applies an emulsifier that works best for your carpet type. Next, your carpet is thoroughly rinsed with clean, hot water. 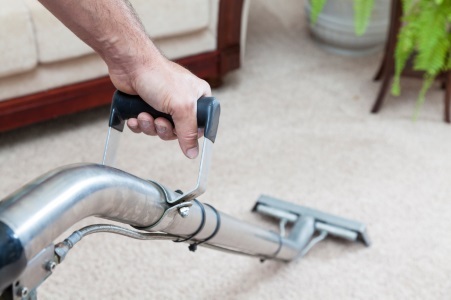 The last step is hot water extraction using a powerful vacuum that suctions out 95% of the moisture in your carpet. Your carpets will be fully dry withing just a few hours. Call (617) 586-2586 today for professional Newton Centre, MA hot water extraction carpet cleaning. Whether we're cleaning Newton Centre stair runners, small or large area rugs, or wall to wall carpeting, the Certified Green Team's professional carpet cleaners will make your carpet look brand new. Certified Green Team uses hot water extraction to effectively remove any Newton Centre carpet stain, including pet stains, food & beverage spills, tough ground-in dirt, automotive fluids, household cleaners, crayon, ink, lipstick, and more. Certified Green Team has been cleaning carpets and area rugs since 2009. Call (617) 586-2586 today to schedule your Newton Centre hot water extraction carpet cleaning.